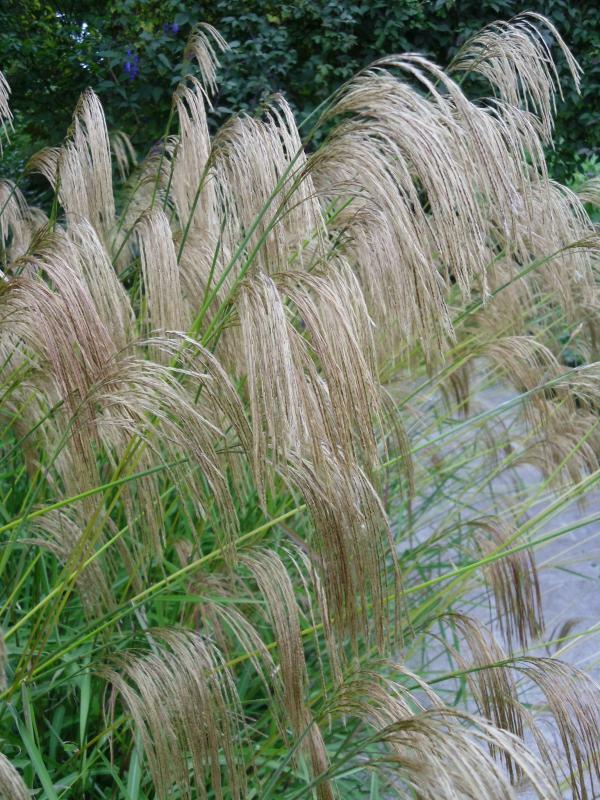 Miscanthus nepalensis is very unusual and very beautiful having delicate looking airy flower plumes held high above mounds of soft green foliage from mid-summer right through into the depths of winter. The flowers are a coppery-gold, like flaxen hair caught in sunshine. 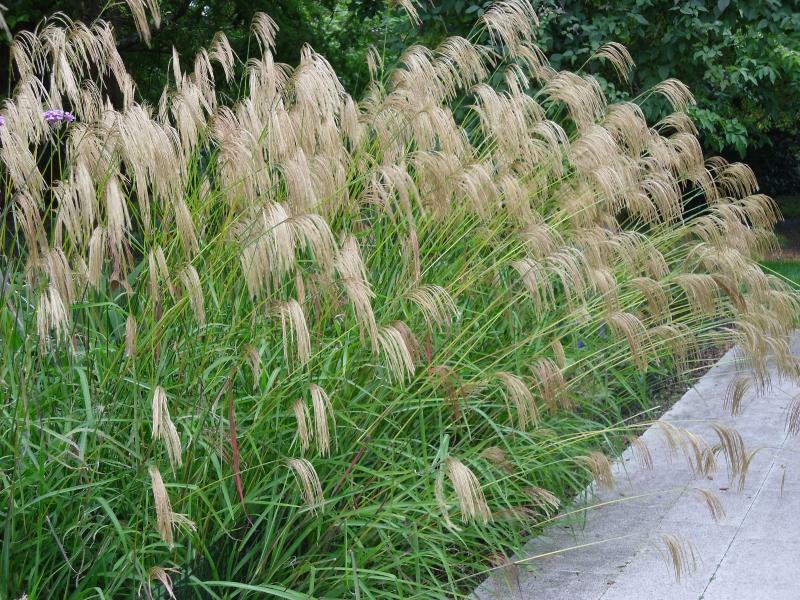 A must for jungle-lovers, Miscanthus nepalensis is a tall grass (though not as tall as many Miscanthus) and clump-forming, works well with canna lilies and phormium or planted singly or in groups in a gravel garden. 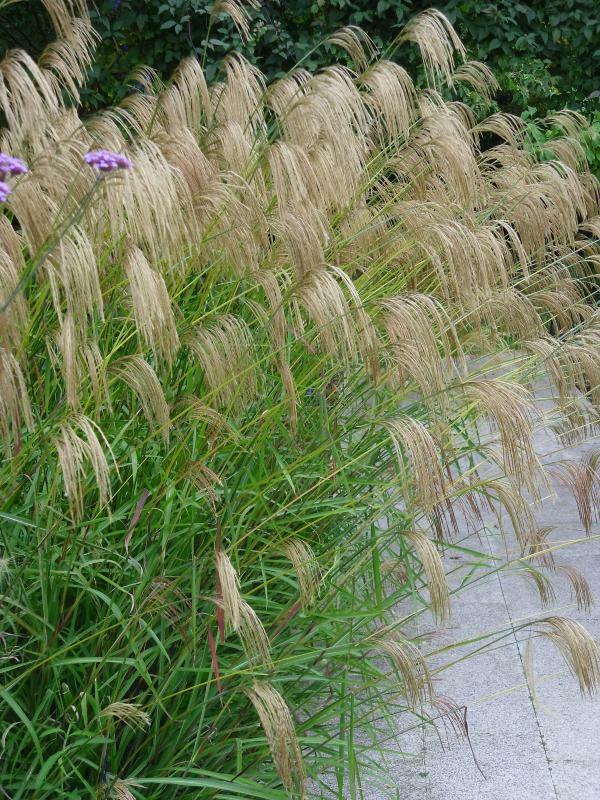 Good front of garden grass due to its size and stature, or mid border amongst other perennials. Children love the way the silky flower tassels turn into fluffy white tickle-sticks in winter. Plant in a sheltered spot, preferably in a sunny well drained position, although I have seen this plant used to great effect in a dappled woodland situation. Miscanthus nepalensis is deciduous and re-grows late in the spring from the dormant culms.